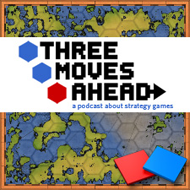 Sixth Beatle Soren Johnson returns along with new guest, Cliff Harris from Positech – designer of Gratuitous Space Battles and the new Gratuitous Tank Battles. This week, how does the idea of unit customization fit with general design principles? At what point is this mechanic an intrusion into good 4x game design? Where do designer and player expectations collide?